The weekend is here and it's time to heal, rejuvenate, and pamper out souls and body, which take a hell lot of beating throughout the week. My weekend ritual includes face and body pampering sessions at home itself 'cause going to the beauty salons / spas is a difficult option for me (I have a kid who demands a little extra time over the weekends). 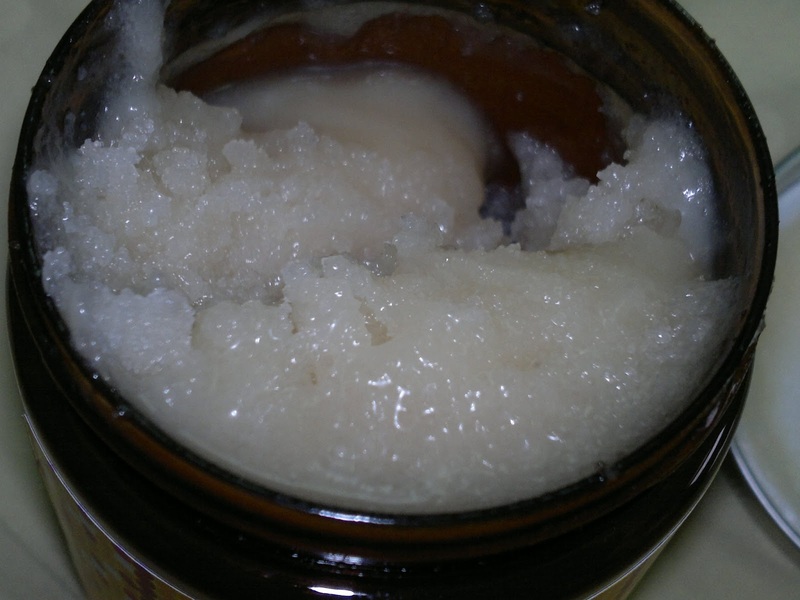 Body scrubs form an essential part of my weekend pampering sessions. I am always on the lookout for good sugar body scrubs as they are the best for my skin and the good ones make my skin super super soft. Today, I will be reviewing a new sugar body scrub from Nourish (they also make some lovely soaps) called LemonKneez Body Scrub. Price: INR 345 for 240 gm of the product. The packaging is sturdy and lightweight. 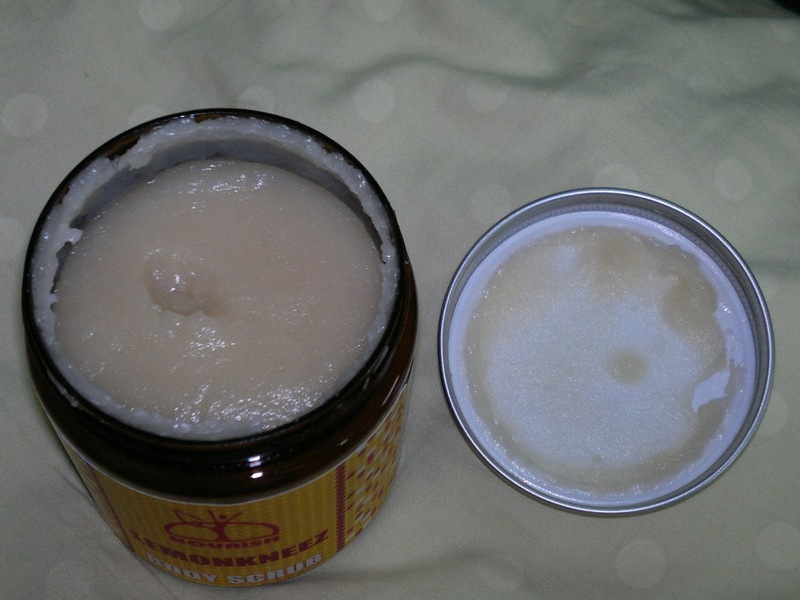 The scrub is stored in a transparent plastic jar with a aluminium lid, which looks a bit tacky and could be improved upon definitely. As you can see from the swatch above, the product is very pale yellow colored scrub with a faint smell of lemons. The granules are not very harsh but nicely granulated to give your skin a good scrub, yet not scratch it. Within a minute of scrubbing the granules just melt away to moisturise your skin and make it baby soft. I totally adore this scrub and for the price it retails at it's a must buy for everyone. The smell / fragrance left me a little disappointed though, first of all not much of it is there and secondly whatever is there goes off when you wash it. The other good thing about this scrub is its consistency. It is nicely packed with oils and butters, which makes the application easy and foolproof, which avoids product wastage as well. Price is on the right side of the budget, so I may forgive the packaging but would have loved a little bit more aroma to make the experience spa-like. 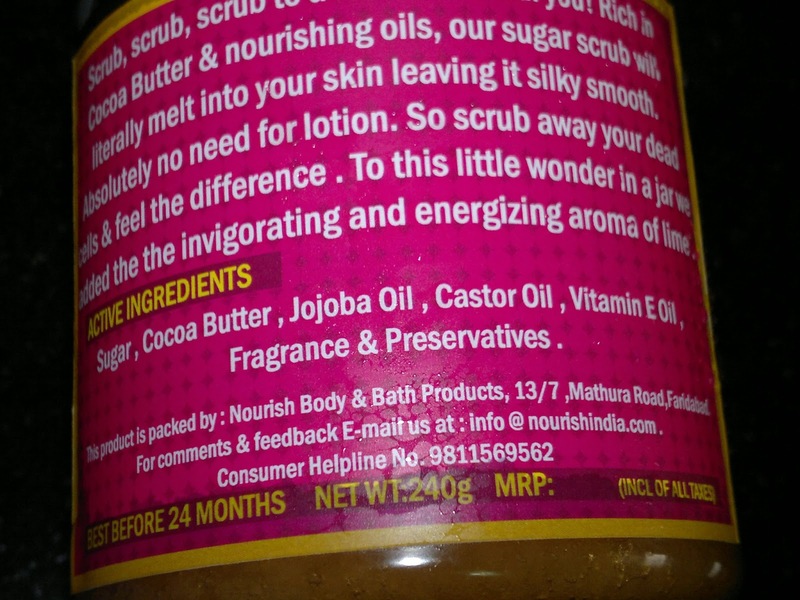 Product rating: A, available at Nourish outlets and online beauty shopping websites. Would recommend everyone to get this awesome scrub. There are two more variants available, one rose and the other apricot, which I am definitely going to buy once I finish this up. 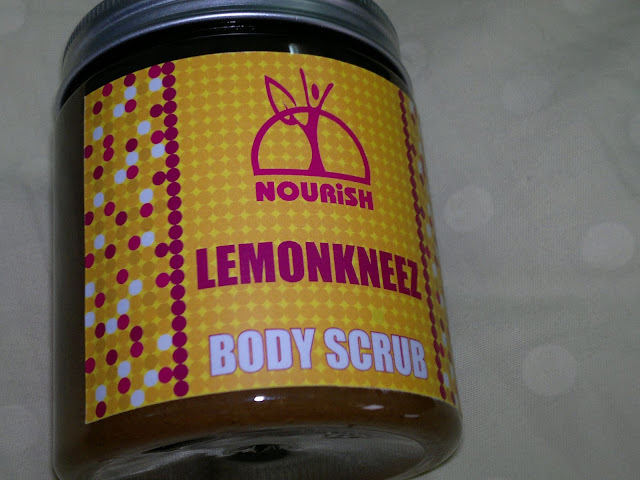 Have you tried Nourish body Scrubs, do share your experience in the comments below. Loving the consistency of the product. Have bought a few Nourish items from Healthkart, now waiting for them to arrive. This is perfect for me, beauty salons, spas, is very very difficult.